BAKERSFIELD, Ca. — Kadar Waller and Ben Yurosek returned the court on Wednesday during a league game against Ridgeview. 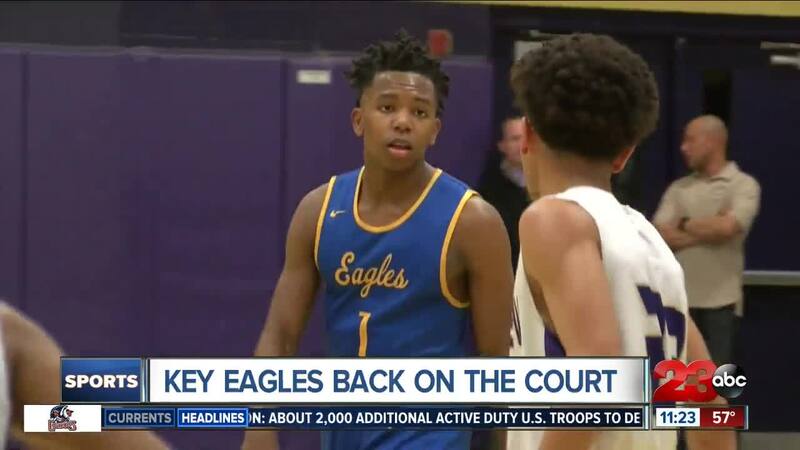 Yurosek was coming back from injury while Waller was reinstated after an appeal process revealed that evidence claiming he was illegally recruited by Bakersfield Christian was unsubstantiated. And, both players return paid dividends. Yurosek put up 8 points and 11 boards. Waller got right back to form after not playing one game, finishing with a game-high 26 points. Lendl Henderson finished with a double-double (18 pts, 11 rebs). BCHS would go on to win this one 81-66 and improve to 7-1 in league play.